President Trump has vowed to defeat the ‘savage’ street gang and to deport its members. Where did it come from? The gang was founded in Los Angeles in the 1980s by migrants fleeing El Salvador’s civil war, which pitted a U.S.-backed military regime against Marxist rebels. Landing in neighborhoods dominated by black and Mexican gangs, the new arrivals banded together to defend themselves. When the gang population in California’s prisons soared in the 1990s, the Clinton administration deported some 20,000 criminals to El Salvador. But the impoverished country was unable to cope with the influx, and MS-13 took over whole neighborhoods, then spread to neighboring Honduras and Guatemala. Murder rates soared across the region, and eventually a new wave of refugees fled north to the U.S. Perversely, MS-13 profits from this: It controls human trafficking across the Guatemalan-Mexican border. Where is the gang in the U.S.? Do many enter that way? It’s unclear. In 2014, more than 52,000 unaccompanied minors from Central America poured across the U.S.-Mexican border. But most were fleeing MS-13, which forces young women into prostitution and demands boys become gang members, or else. Carla Provost, acting chief of the U.S. Border Patrol, told Congress last year that of the 250,000 unaccompanied minors apprehended at the border since 2011, only 56 were suspected MS-13 members. 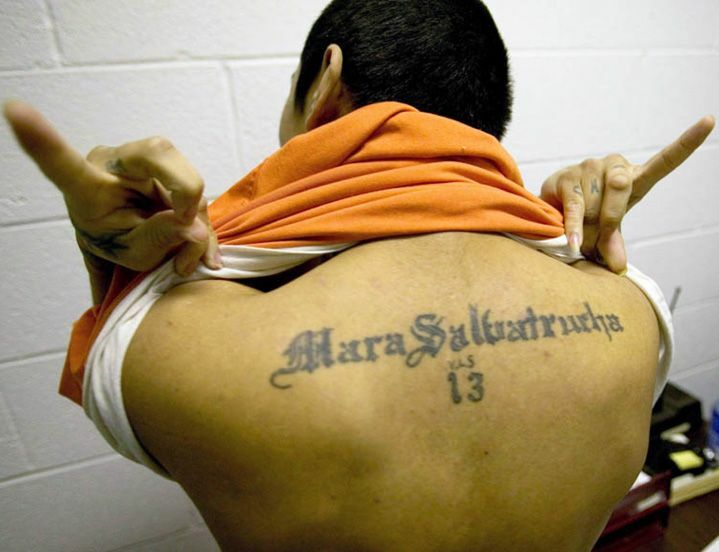 Indeed, most of MS-13’s members are U.S. citizens, says criminologist David Pyrooz, who notes that immigrants are less likely than native-born youth to join gangs. But MS-13 is “the perfect bogeyman,” he says, because of its members’ ethnicity and extreme violence. He and other experts worry the government’s actions might empower MS-13. MS-13 has a smaller presence in the U.S. than the Latin Kings and Crips gangs, which have up to 35,000 members each. But Trump’s frequent statements about MS-13, says Pyrooz, give the gang “a notoriety that it could never achieve on its own,” helping it attract new recruits. It may have received another boost in January, when the Trump administration rescinded the temporary protected status that since 2001 has allowed some 200,000 Salvadorans to remain in the U.S. Rather than return to El Salvador, many of those migrants might go underground in the U.S. Afraid to go to the police in case they end up being deported, these Salvadorans could become easy extortion targets for MS-13. What’s the best way to combat MS-13?